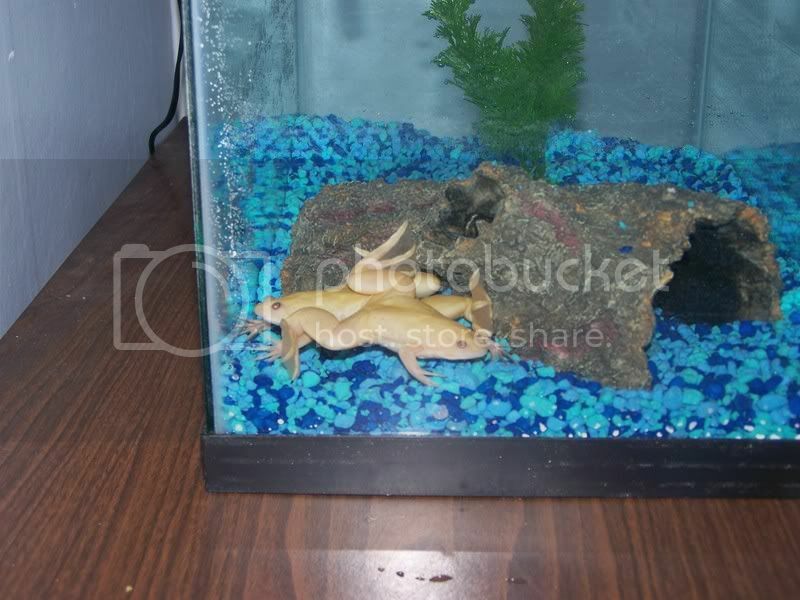 Did you know there is a contest right now to name two poor froggies that have no name? Then please join in the fun and help my friend (The Squishy Yarn Guru) Laura name her two new pet frogs. If you help her and her son to name the new family members she is going to reward you with a little something special. Remember this is the talented Laura who can knit amazing things, sew gorgeous flannel blankets and do all things crafty. The possibilities from her are endless! So put your thinking caps on, head over to her blog and assist her in the naming of those poor little critters that need a name. Here they are to see before you hop over to her bloggy world. Just remember that she has an almost 4 year old son (so it must be appropriate), but also recall one of her cat’s is named Booger!